The Engadin St. Moritz holiday region will delight you with its variety and wealth of contrasts. It offers everything for an unforgettable holiday, no matter what your budget. Let yourself be inspired by the variety and contrasts of this beautiful region. 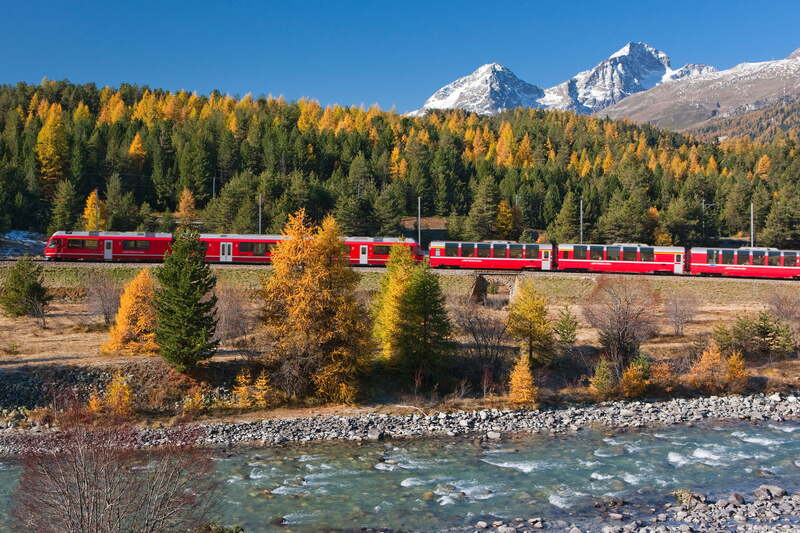 The Rhaetian Railway in the Albula / Bernina landscape is a masterpiece of engineering in nature. Seven hours of pure railway adventure: the slowest express train in the world is also the most famous. Over 1,200 years of living history make the Convent of St. John a cultural gem. Explore the Engadin from a different perspective – on horseback. Fun on the road for saddle-fast adventurers: from pass to pass through the motorcycling canton of Graubünden. Nostalgic get-together for sentimentalists: discovering the Engadin by automobile.